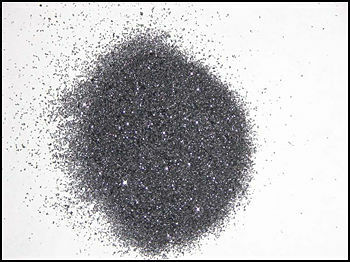 Using a special sample preparation technique and a new SIMS analytical protocol, individual SiC particles with a size ranging from 100 um to 500 um in a SiC powder sample can be analyzed. This innovative approach eliminates contributions from surface contamination to bulk concentration. 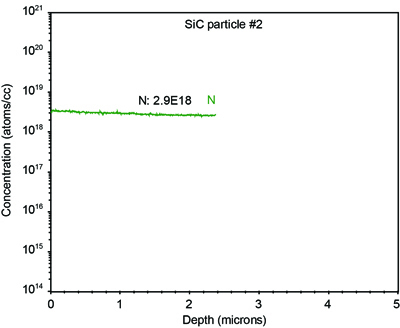 N profiles for two different SiC particles from the same batch of powder samples. 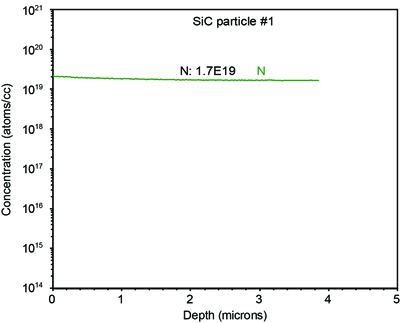 The SIMS results for these two particles show good batch bulk concentration consistency.